Mauritius is ranked most competitive economy in Sub-Saharan Africa, beating South Africa, according to the latest ranking of ‘The Global Competitiveness Index,’ by the World Economic Forum (WEF). 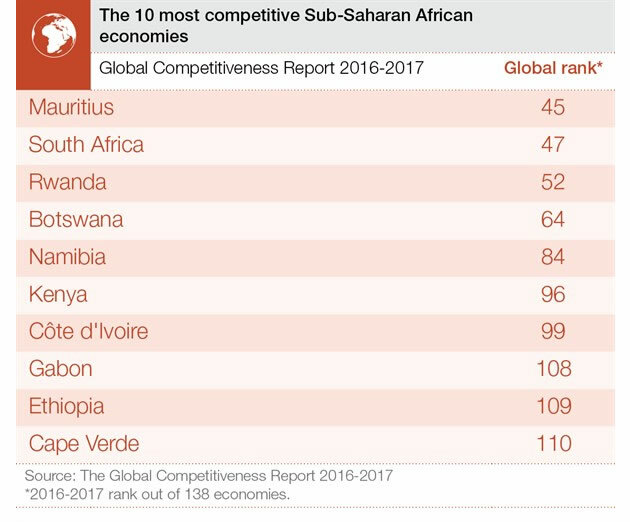 Mauritius is ranked most competitive economy in Sub-Saharan Africa, beating powerhouse South Africa, according to the latest ranking of ‘The Global Competitiveness Index,’ by the World Economic Forum (WEF). The report is an annual assessment of the factors driving productivity and prosperity in 138 countries. The degree to which economies are open to international trade in goods and services is directly linked to both economic growth and a nation’s innovative potential. The trend, which is based on perception data from the Global Competitiveness Index (GCI)’s Executive Opinion Survey, is gradual and attributed mainly to a rise in non-tariff barriers although three other factors are also taken into account; burdensome customs procedures; rules affecting FDI and foreign ownership. It is most keenly felt in the high and upper middle income economies. Mauritius ranks at number 45 on the global ladder with a score of 4.49, a step from their ranking last year. The country is sandwiched by Italy and Portugal. South Africa, Rwanda, Botswana and Namibia completed the top 5 places for sub Saharan Africa. The WEF has been measuring economic competitiveness among countries since 1979. 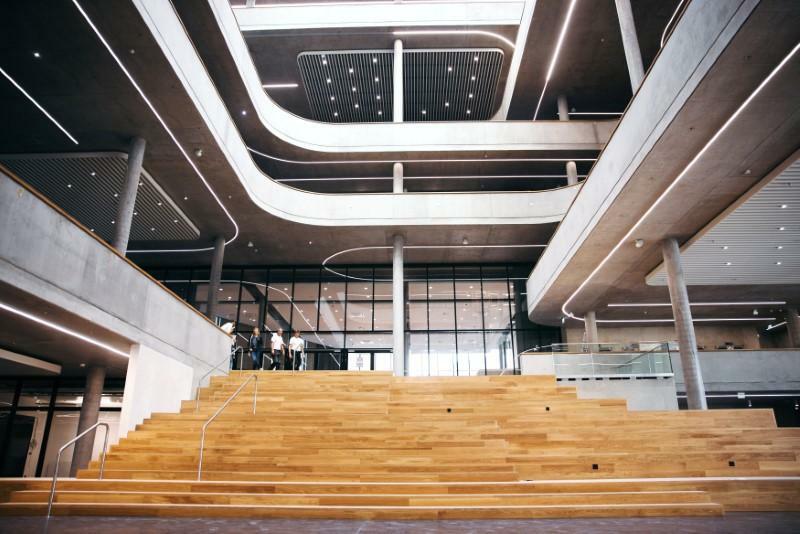 Africa Property News.com learnt that Switzerland, Singapore and the US are ranked as the top three countries, followed by the Netherlands, Germany and Sweden. The World Economic Forum (WEF), best know for its annual meeting in the Swiss ski resort of Davos. WEF has been measuring economic competitiveness among countries since 1979. Mauritius, officially the Republic of Mauritius is an island nation in the Indian Ocean about 2,000 kilometres (1,200 mi) off the southeast coast of the African continent. The country includes the island of Mauritius, Rodrigues and the outer islands. The islands of Mauritius and Rodrigues form part of the Mascarene Islands, along with nearby Reunion, a French overseas department. The area of the country is 2,040 km2. The capital and largest city is Port Louis. Mauritius was a British colonial possession from 1810 to 1968, the year of its independence. Mauritius is a major tourist destination, ranking 3rd in the region and 56th globally. It enjoys a tropical climate with clear warm sea waters, attractive beaches, tropical fauna and flora complemented by a multi-ethnic and cultural population. Below is the top 10 of sub Saharan Africa’s competitive economies with their scoring.